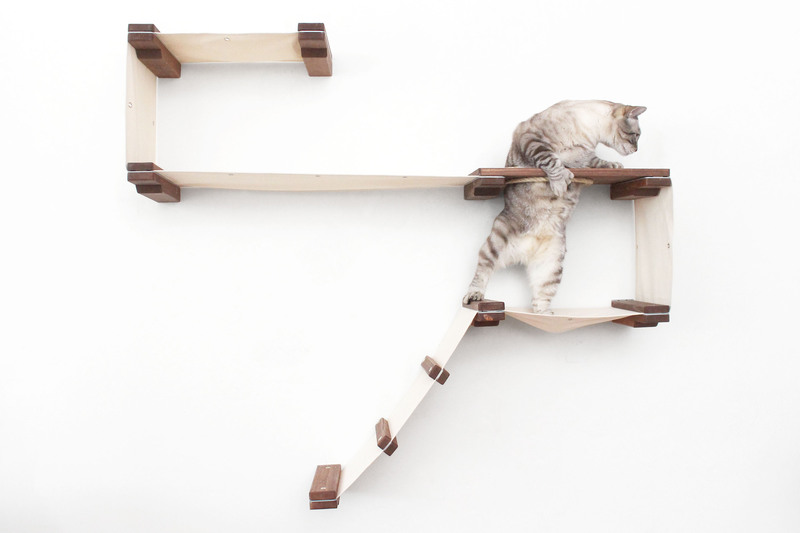 The Cat Mod – Play is the second generation version of the Deluxe Playplace. This is a mid-size package and can be used to build a wide array of designs. The main design is shown in our photos. 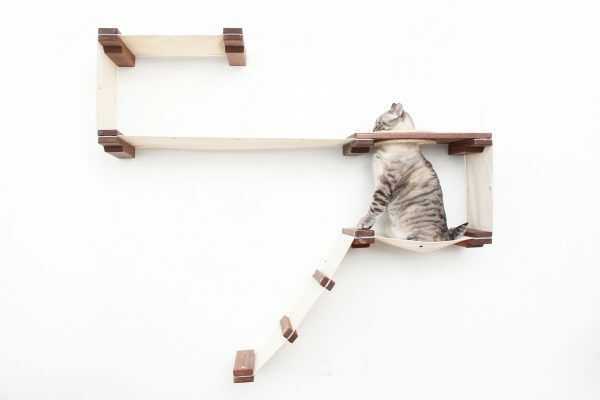 However, with the Cat Mod collection, many different designs can be created from the same set. 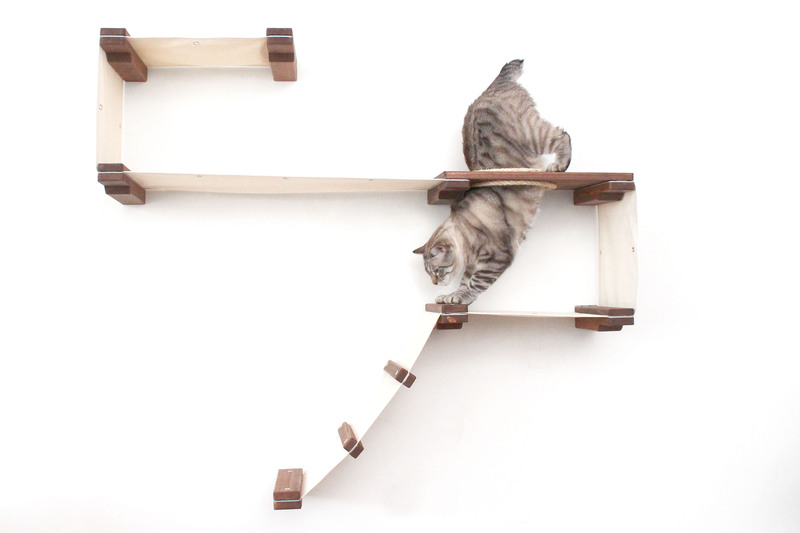 Our cat Heisenberg loves playing fetch on our Cat Mod – Play complex. He runs up the ladder, through the sisal-lined hole and up to the top level where his toy has been thrown and then back down. When he gets tired, he can also nap on one of the stiff fabric hammocks. 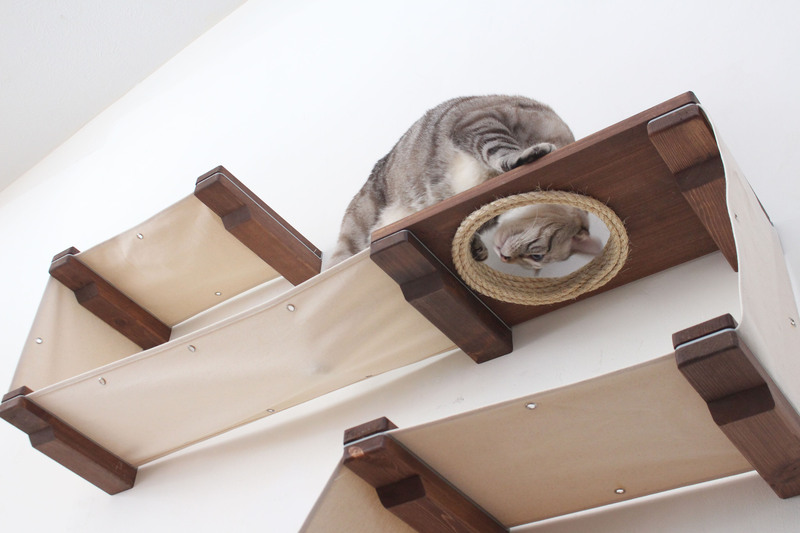 Since the entrance to the structure has a ladder and hole, this creates a thought-provoking exercise for cats. 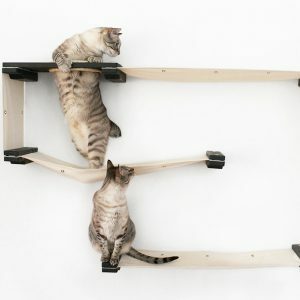 This piece is great for families that have dogs and are looking for ways to give cats their own space. The fabric hammocks are rated to hold 62 lbs and the wood pieces are rated to hold 85 lbs. 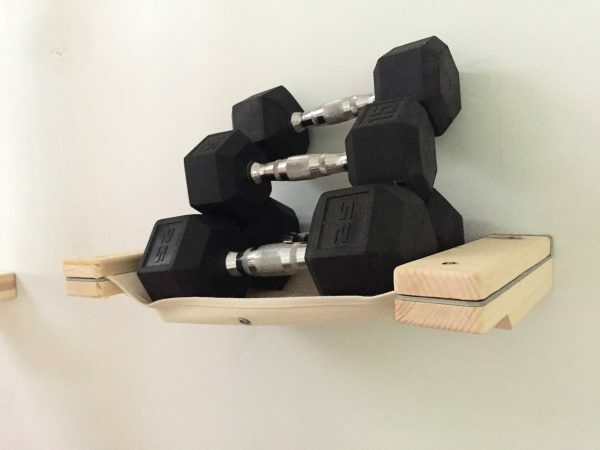 We use solid wood for the shelving and mounting posts, and thick heavy weight canvas for the hammocks. 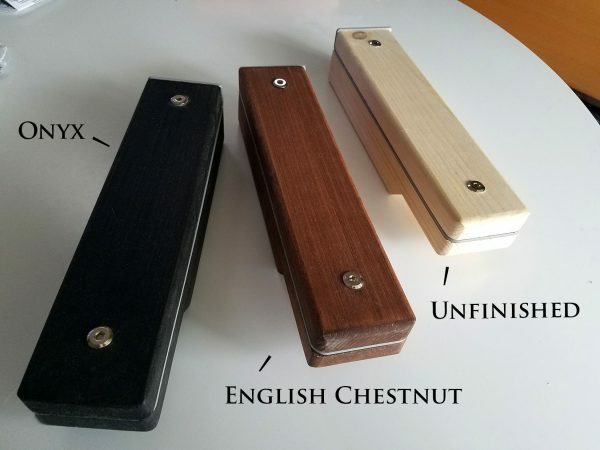 The Play comes in your choice of Onyx, English Chestnut, or Unfinished wood. 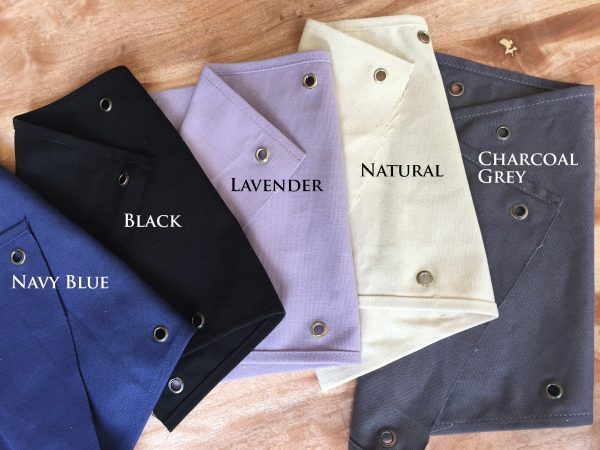 All sets will come with the canvas color of your choice and Nickel mounting hardware. The Cat Mod was easy to install and looks nice too. Jade loves her new play mod and uses it frequently. Hi Alexander. We're happy that your cats love the Play but disappointed that you didn't receive all of the screws that you needed. If you are ever missing anything from an order, please let us know and we will make it right for you. We love our Cat Mod! We had to modify it slightly to fit our wall, but it's worked out perfectly. 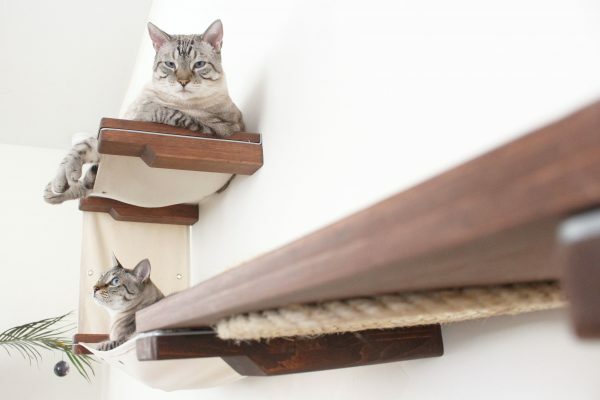 The cats can sit and watch us without us falling over them; win-win. 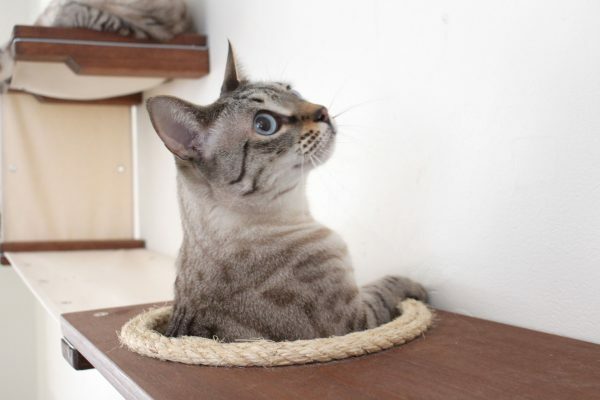 Having very young, curious cats they took to the Cat Mod quickly. I was concerned the canvas would be too flimsy or rip, but it's definitely stronger than it looks. 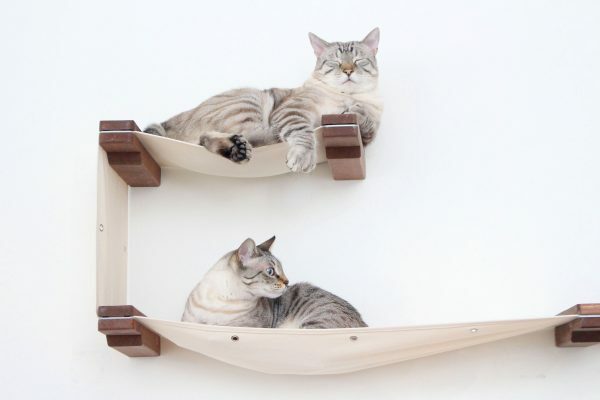 The cats often just hang out on their canvas "beds" ,or play with each other from the different levels. If I had more wall space I'd definitely buy another one! 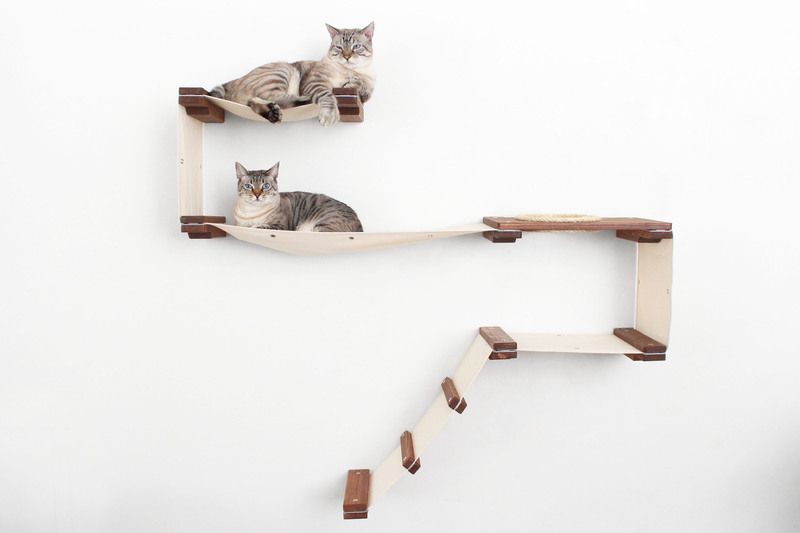 "Our cats love it! They needed a little encouragement at first to use the ramp, but now they scale it with ease. We placed the top platform next to a basement window so now they can climb and see outside. The whole thing was very easy to put together--my husband expected it to take all day, but it took just a few hours (and most of that was just deciding where to put each platform/where it was going to end.) The craftsmanship is great, and I love the variety of colors the canvas comes in." 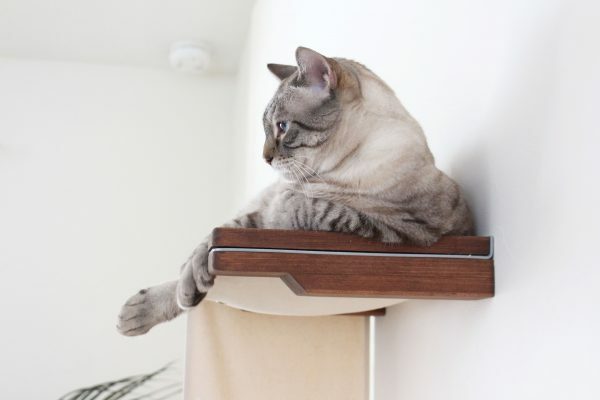 "We absolutely love our Cat Mod- Play and our cat, Ernie, loves it even more than we do! He took almost no time at all to get comfortable navigating it and we find him sleeping in the hammock sections multiple times throughout the day. We were blown away by how well made everything was and how easily it installed with a little bit of planning and attention to detail. 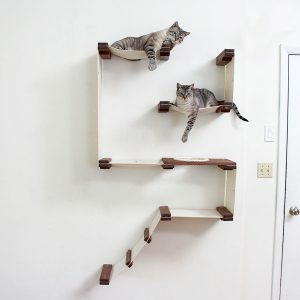 We made sure to find studs and this thing is STURDY! Megan and Mike were so great in answering out questions and helping us to have confidence that we would be able to install it on our wall given a bit of a unique setup with our studs and wall height. 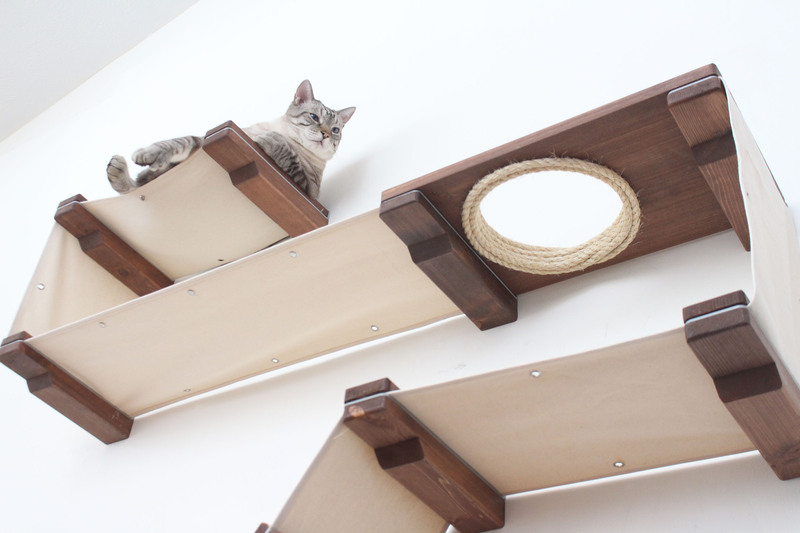 We highly recommend this if you have a cat that likes to climb and be high up!"